When the Salem Civic Center opened the doors last Friday morning for the AA state wrestling, the Fauquier Nation people took their places along side Christiansburg and Grundy with the team banner targeting their location within the Center. Around the state people no longer wonder who Fauquier is but rather know that those guys are good. When a team is built the way the Falcons were put together (this season), winning the Region II tournament, and bringing a large percentage of the team to states; odds are that you will be up near the top of the leader board. Numbers always will speak for themselves as Fauquier continues to produce state placers. But, whenever you factor Christiansburg and Grundy into the equation, you know it’s going to be a tough battle. Fauquier may not have finished at the very top of the leader board at the State Tournament, but had eleven wrestlers that came to Salem, VA and wrestled their hearts out. Fauquier wrestled some great matches this past weekend as the winning tradition continues. With the season now over and dwelling on this Falcons team, I consider the following: Having 7 state placers (more than the past two years), advancing 11 wrestlers to the state meet (a school record), and having a great dual team record this season (21-3) are simply incredible achievements. As first year head Coach Doug Fisher weaves in a new system that prepares all the kids to win, you have weekends like this from time-to-time as the final numbers put Fauquier in 5th place. Even though this placement did not end up like previous years (2nd and 3rd in state), the team was just a few matches from jumping above New Kent and Brookville. In the end Fauquier was unable to get any wrestlers to the state finals, which is always a wrestler’s goal. For those readers who have not witnessed Fauquier wrestling, it has been a team with multiple faces in the state finals over the past 6 plus years with tons of placements. Moving into the first day of the state wrestling tournament and after the first round, the Falcons found themselves on top of the leadership board along side Christiansburg and Grundy. With all 11 wrestlers contributing and earning team points through the 4th round of wrestling, it simply ended up with 2 wrestlers advancing to the Semi Finals (Bennett Payne and Greg Flournoy). Both wrestlers are coming off a great season and both ended up having two very close semi-final matches losing in the final few seconds. To look even a little closer at this 2010-2011 Falcons team, even though it missed out on getting a state finalist at states, this team may have been considered one of the best dual team Fauquier had ever assembled. The team truly had 14 solid wrestlers. As the team wrestled through the 1st three rounds (Friday) it seemed that the wrestlers continued to obtain pins. What factors did that help the team through the first day? Fisher: "The pins/techs/majors are a huge factor in the team race. Even though we did not look sharp those first two championship rounds, the bonus points kept us in the mix for second in the team race. We have become much more of a pinning team the last couple of years. It is a major component in our overall success this year, and will continue to be a key aspect of future success." Can you explain why Brookville and New Kent were able to squeak and jump over you with the first round on Saturday, even though you faced them this year and earned a victory? Fisher: "Brookville and New Kent are really good teams with really good coaching staffs. We were fortunate enough to be on our game when we wrestled them earlier in the season. We previously wrestled them “Wide Open”. Which I define as an approach in which we are offensive for 6 minutes, always looking to score, always dictating the action, looking for opportunities to put the guy on his back. In general, just being intelligently aggressive and dominate. We did not seem to have that attitude the first 3 championship rounds at state, and it cost a second place finish. On the positive side, I saw us regain that attitude in the consolation rounds, and the results spoke for themselves. We won 6 out of our 7 final placement rounds and scored 2 pins and a tech in those 6 wins. " Both Bennett Payne and Greg Flournoy lost in the semis which were truly nail biters and heart breakers. Can the team learn and recover from those two losses? Fisher: "Bennett and Greg are two of our most dominant and aggressive wrestlers. Their tremendous stats this year are a direct result of that style of wrestling. Unfortunately, they both were not as offensive as they normally are and that fact alone was likely the difference in those matches. The instinctual reaction in huge matches like the State Semis is to be more conservative, be more hesitant; be defensive. The winner is typically the one who can overcome that innate temptation and be the aggressor. We need to continue putting ourselves in those big matches, and keep practicing wrestling those matches just like we wrestle in the lower profile matches." Out of the 11 wrestlers that qualified for the state meet 7 are returners. What are Coach Fisher’s plans to ensure this high number continues? Fisher: "Our goal next year is to take 14 guys. For us to compete for the title, we will need all fourteen and all fourteen scoring. We have a great foundation for next year with those 7 guys, and we have other like Marco, Michael, Henry, Evan, Jake and Matt Raines who I expect to go also. Now, the only way for those expectations to be realized is to start working now. Our 2011-2012 pre-season starts today. The majority of those guys that made it to states this year did some wrestling related off season work. One fact that cannot be lost is that every one of our placewinners did much more than some off-season wrestling, but rather, were training and wrestling competitively Spring, Summer and Fall. We are putting together a new Wrestling Club called “Birds O’ Prey” Wrestling Club that will provide the critical off-season wrestling opportunities that will allow us to realize our goal of qualifying 14 for States." Any final thoughts that you can share about this year’s team? Fisher: "I thought, overall, we had a very successful season. Our younger guys improved every day and are ready to compete at the highest levels. We ended with a dual meet record of 21-3, and brought home team hardware from almost every tournament we were in. We also had 9 guys with over 30 wins. 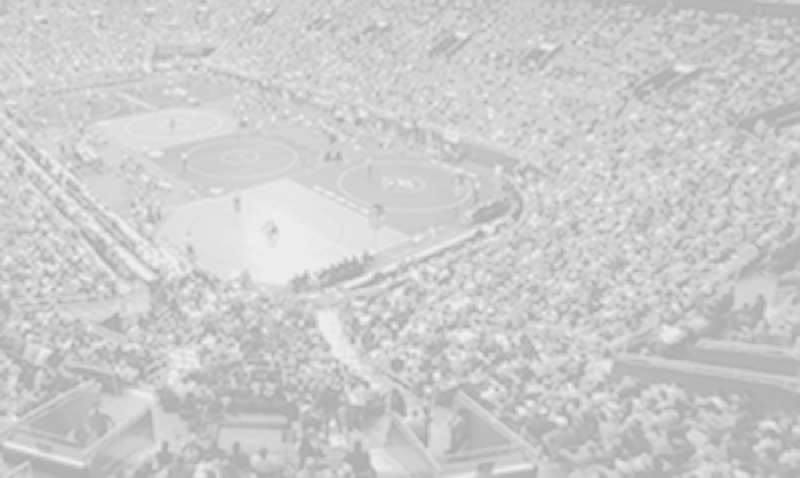 Another major measure of success beyond placements and records is the opportunity for collegiate wrestling. We once again have been fortunate to have 3 of our seniors interested in and having the opportunity to continue wrestling in college: Greg Flournoy George Mason, Van Grimes VMI, and Jake Fahlfeder Limestone College. I am proud the way our guys handled success and adversity, and I feel very fortunate to be able to coach such a great group of hard working and committed wrestlers." As this season comes to a close and Fauquier Wrestling continues to have its high school wrestling team travel around the state and county to compete with the best, the team will need to continue to count on its youth and feeder wrestling programs. The state meet brings out the best in the state as Fauquier was witness to some tough competition. With 10 returning starters leading into next season, Fauquier will need to look at the youth programs to see who the next groups of super stars are. The bigger question is if the team can replace the 4 senior’s with the rising ready to wrestle kids? Not only does Fauquier feeder program need to produce varsity ready wrestlers as they enter into their freshman and sophomore years in high school, but if Fauquier is to continue raising the wrestling bar, they must have the continued support of the wrestling youth parents and community. Fauquier is a place where wrestling is thriving. No need to look anywhere else other than the kids that are now wrestling in college and this 2011 senior class that is also planning on wrestling in college. Fauquier wrestlers should have much to be proud of as it continues to show the state that when you step on the mat with Fauquier expect for it to be a battle.